Attention Employers - Stop Hunting for the Purple Squirrel! As a business owner or employer, looking for staff is daunting. You want that ideal candidate that fits all the job criteria and be the model employee. The problem is that many employers and business owners post highly unrealistic expectations for a job description, and many are unwilling to evaluate, let alone hire, a candidate that may not fit all of the criteria. As a result, the employer or business owner experiences a longer operational inefficiency. Let me give you a personal example of an employer looking for a purple squirrel. A company attempted to recruit me to manage their eCommerce group. They were so happy because my experience fit exactly with what they were looking for (experience in managing eCommerce projects and a technical staff, a strong business management background, and experience in working in technology). Then they mentioned the salary…they wanted to offer me a salary and benefits package that’s more in line for a mid-level career professional. The salary was what I was making nearly 15 years ago as a mid-level developer! 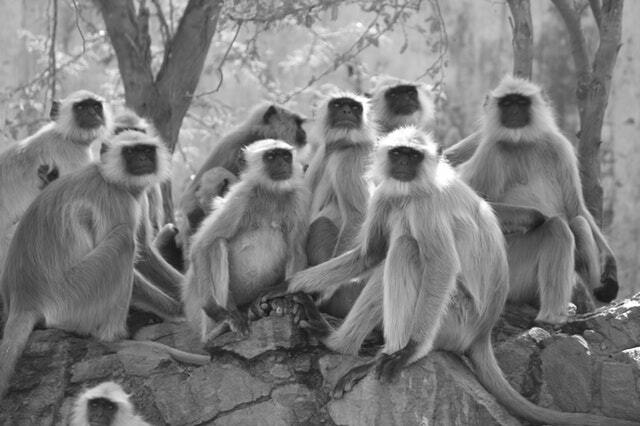 I politely turned them down and wished them lots of luck in their search. The purple squirrel that the company was looking for was a highly experienced, management-level talent willing to work at a salary that’s below industry standards for the position. When employers and business owners believe that the purple squirrel exists, and they continue to hunt that mythical creature, it causes more harm than good. Not only are they missing out on potential superstar employees, but their operational inefficiency lasts longer than necessary because they won’t fill the position unless that potential employee fits the criteria to a T. Morale is also impacted because the people in the trenches continue to suffer because they’re continue to work even harder for a longer period of time. It’s a lot easier for an employee to reconsider his or her options when that said employee is unhappy. 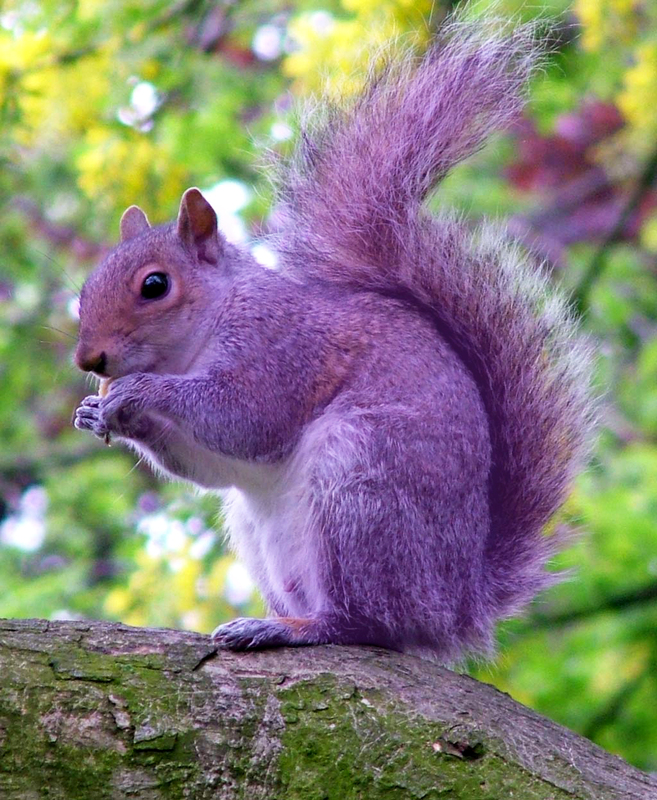 Here’s the reality – the purple squirrel doesn’t exist. No one knows everything. Candidates with sought-after skills and experience won’t work for less than their worth. An entry-level candidate is not going to have 2-5 years experience in the skillset du jour. A senior-level candidate is not going to work for the same compensation as a mid-level candidate. If you want your operations to run efficiently AND keep your current employees happy, stop hunting for the purple squirrel. I already know the rebuttal – “It’s so hard to find good employees! We’ve had bad hires! Don’t you know how much it costs to on-board a new employee and how much it costs when the employee leaves?! ?” My response – yes, I know. I was like you. I used to search for the purple squirrel because I’ve been burned by bad hires or employees who left for other opportunities 3 months after I hired them. However, I learned that searching for the purple squirrel made it worse for me because my team and I had to pick up the slack, which in turn, impacted other business-critical projects that needed to be done AND made my team unhappy because they were overworked. You can still find good employees, even if they don’t meet all of the skills. Here’s how I did it, and I believe that these will work for you. Take an honest look of what you must have now, not what you must have one year from now. Companies often make mistakes about posting requirements for a task or project that may happen one year from now, rather than post requirements for what they need right now. Here’s a real example – there’s talk in your company that there may be a project a year from now where you’re converting your website from .NET and SQL Server to Java and Oracle, and as part of the project you’re going to make it in multiple (spoken) languages, but one of your star .NET developers just turned in a two-week notice. The mistake that I’ve seen companies make is they post a position for a multi-lingual candidate who not only knows .NET but knows Java. Not only does it alienate potential candidates, but you’re not finding what you need right now. You don’t need the multi-lingual Java/Oracle developer right now. Your immediate need is a developer who knows .NET. Offer a salary comparable to the skill set that you’re looking for. I know that companies want to save money in their budget – human capital is expensive – but it’s unrealistic to expect a senior-level candidate who is currently working in a sought-after industry with ten-plus years experience to accept a salary that’s well below the industry standard. If you want a person with five years experience, don’t offer that candidate an entry level salary. It’s an insult to the candidate, and it leaves a bad taste in one’s mouth about your company. If your budget doesn’t allow for offering a truly competitive salary, then offer amazing benefits. If you can offer benefits that’ll make others envious, like free meals, unlimited PTO, free health care, the ability to work from home, and other perks, that’ll counterbalance a lower than market value salary. For example, I worked for a major airline. The salary was below market value (but not by much), but the benefits were outstanding. I had free top-of-the-line health care with NO DEDUCTIBLES, four weeks vacation plus holidays, free coach flights, $30 round trip first class flights, 3% contribution to a 401K regardless of whether I contribute or not, and tuition reimbursement. That doesn’t mean that you can still low-ball the candidate! This is for situations where, for example, the market value for a customer service representative is $32,000 per year (not including benefits), but your budget only allows you to offer $28,000 for the salary. If the benefits are something that the candidate really appreciates, like free, no deductible health insurance and unlimited PTO, that can be a good trade-off for a lower salary to a candidate. In the United States, health care costs are astronomical, and since the passing of the Affordable Health Care Act of 2010, citizens must have health insurance or pay a fine. A survey by AHIP (www.ahip.org) determined that 46% of employees said that health insurance was either the deciding factor or a positive influence in choosing their current job. Some companies skimp on health insurance plans, and the only plan that they offer is a high cost, high deductible, low coverage plan. For employees who already have coverage, this is not an issue, but this could scare away potential employees who need to get coverage. Be open to people who may not have the exact qualifications but have transferable qualifications. Granted, there are some positions that require exact skill sets, such as a heart surgeon, but the typical business position has requirements that are easily transferable, such as reasoning, analytics, communications and creativity. People who work a job using a particular software package or tool can easily adapt to the software package or tool that you currently use because most of the primary functionality is the same. For example, you may be looking for a content manager for your SharePoint site. However, you have a candidate who is an experienced content manager but worked in WordPress and Drupal. If the candidate has experience in content management, s/he can easily learn the semantics of the tool that you’re using. Look at the candidate’s ability to learn new skill sets. As I mentioned earlier, no one knows everything. However, if you find a candidate who is an amazing learner, you’ve already won. Things are constantly changing in the business world, so find someone who is willing and able to change and learn for your future needs. Again, this goes back to picking candidates based on your current needs, not based on what you may need one year down the road. If you pick a candidate that suits your current needs, but demonstrates the ability to learn new skill sets and adapt to changes, that candidate will become valuable for you when you do have different needs in the future. Not only will s/he be able to fill your future needs, but you don’t have to worry about the lag time it takes for a new employee to learn about the business because s/he already knows it from being there. If you’re interested in reading more about this topic, this article from the Harvard Business Review, Don’t Hire the Perfect Candidate, covers the topic in more detail. So what are your experiences? Do you agree? Let us know what you think in the comments. If you like this article, don’t forget to like this article, and feel free to share it on your network.